Ho, ho, ho: Christmas is coming! It’s one of the two times per year when your church is most likely to have guests. It’s also a big celebration in its own right. How is your church going to welcome visitors and celebrate? We’ve got your church Christmas ideas ready. Christmas Welcome Kit: Grab our free Christmas welcome kit to make sure your guests truly feel welcome. Photo Checklist: As the big day approaches, you’re too busy to think about details. Our free Christmas photo checklist can help. Social Media Graphic: Grab a free Christmas social graphic and check one more thing off your to-do list. We wrote the book on Christmas planning. Seriously, it’s called God Rest Ye Stressed Communicators: Planning Christmas for Your Church. It’s full of practical ideas and examples to help your church spread the love and joy of the season. It’s a good place to start, if we do say so ourselves. Our Courageous Storytellers membership site is chockfull of Christmas resources to help you do your job better. A 20-minute Christmas outreach webinar with Phil Bowdle. Understanding Facebook Pixel webinar with Kenny Jahng. A guide for making the most of social media during Christmas. Ready-to-use Advent devotional for your congregation. And more, including Christmas social graphics. 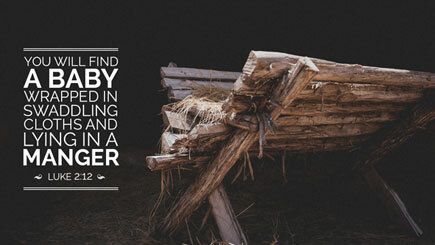 Saddleback’s Anthony Miller encourages you to tell your story this Christmas. As Christmas looms large, Lori Bailey offers hope. Your church Christmas ideas need to be planned in advance and promoted properly. Don’t just wing it or think that because it’s Christmas the people will just come. Is it too early for Christmas? It’s never too early to start Christmas planning. Best way to promote Christmas (SPOILER ALERT: Word of mouth). Church attendance balloons to 47% at Christmas. Guests come for Christmas, and your church needs to be welcoming. Grab our free Christmas welcome kit to make sure your church is full of welcome this Christmas. 6 ways you can promote your Christmas events, from lumpy mail to micro-sites. Think of Christmas as an on-ramp to your church. Identifying problems and barriers led to one church starting a Christmas light display. Keep your geography in mind. If you’ve got snow, use it. If you’ve got cacti, work it. Embrace tradition: There’s a reason A Charlie Brown Christmas features Linus reading from the Gospel of Luke. 3 tips: Get the right day (Christmas Eve), offer the right experience (no baby Jesus on a zip line—people like tradition) and bring people back. A memorable story is rooted in action. Just ask Saint Nick. 10 ideas to engage people on social media. Our podcast covers Christmas planning with Scott McClellan and a social media Christmas with Haley Veturis. 57 Christmas videos your church can use. How to plan a massive, community-wide Christmas event. 4 ways your church can use social media at Christmas. You don’t have to reinvent Christmas every year. Remember Advent? Embrace the idea of Advent and get your congregation in the Christmas spirit with an Advent devotional. Christmas is the story of a virgin mother and an illegitimate baby. It’s never what we expect. Let’s remember just how radical Christmas is. What about after Christmas? Have a plan to bring people back. And remember that some people will never come back. Do you have a way to reach them? Checklists: Free Christmas photo checklist and a last-minute Christmas checklist. Getting inspired with church Christmas ideas can be tough, especially if you’re doing your planning and it’s anything but Christmas outside. But we’ve got plenty of examples and inspiration to get you motivated. But don’t just steal these ideas, use them as a starting point to get you thinking. Be inspired to create something unique for your church. 25 examples of what makes Christmas special at different churches. Check out this roundup of Christmas ideas including mini disco balls, holiday parades and importing snow to Arizona. A Wisconsin church shares how they made Christmas work on half the budget. Try passing out Christmas survival boxes to encourage people to invite friends and family. One church offers a Christmas service to bless families. One church organized flashmobs to support Salvation Army Bell Ringers and an organization that fights human trafficking as part of their unexpected Christmas series. Church on the Move offers a commentary track of their entire Christmas service, explaining what they did and why they did it. 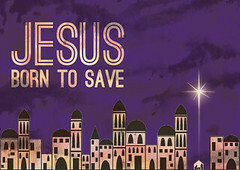 New Life Church ditches their multi-week Christmas series in December and focuses on Christmas Eve. Christmas designs from the Church Marketing Lab: 2013, 2012, 2011, 2010. Learn more about how this video came together. If the Christmas cheer is a little too much, maybe you need to step back. Whew, Christmas can be exhausting: A Christmas pep talk from Kelley Hartnett. Stop skipping Christmas. As you do all this work to prepare your church, remember that Christmas is for you too. Being overworked and super stressed at the holidays is not cool. Take a break. Sometimes we need more interruptions. Check out Surviving Christmas: Advent Devotions for the Hard & Holy Holidays by Anne Marie Miller or download our free 7-day Advent devotional sampler (get the full devotional as a Courageous Storytellers member). Maybe you need to rethink Christmas. And no, we’re not talking about the Grinch. We’re talking about cool resources like Advent Conspiracy and churches doing capital campaigns to help the homeless. Remember, you can get access to even more Christmas social graphics in our Courageous Storytellers Membership Site. We hope your church Christmas ideas come together, and we wish your congregation a merry Christmas.